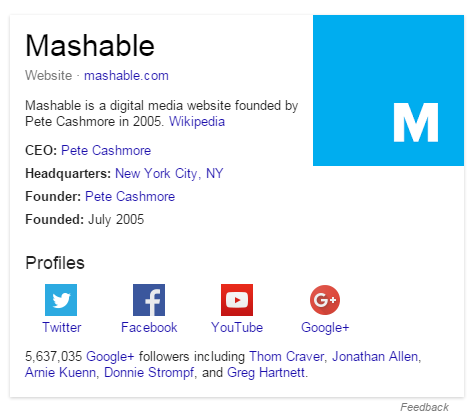 Google has been pulling back integration with Google+ and the search results for some time now, so it comes as a surprise to notice they are showcasing Google+ once again in their knowledge panels. 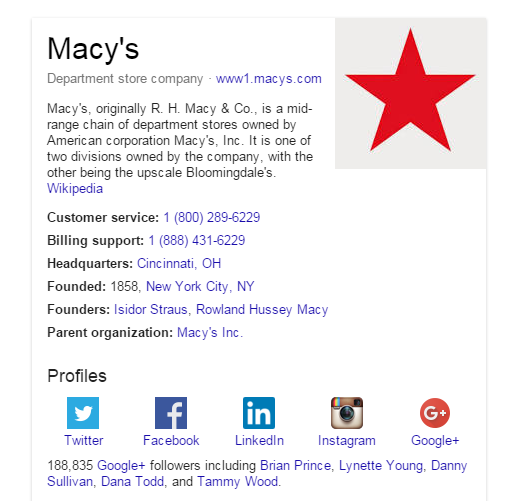 Now, when you search for brands that are active on Google+, you now see the number of followers the brand has on Google+ as well as the names of those people in your own circle who are also followers of that brand on Google+. Here are some examples of the new change. As you can see, all these brands have their Google+ profiles linked from their knowledge panels. Last year, Google removed Google+ posts from brand’s knowledge panels and it looked like all integration between Google+ and organic search results was gone. 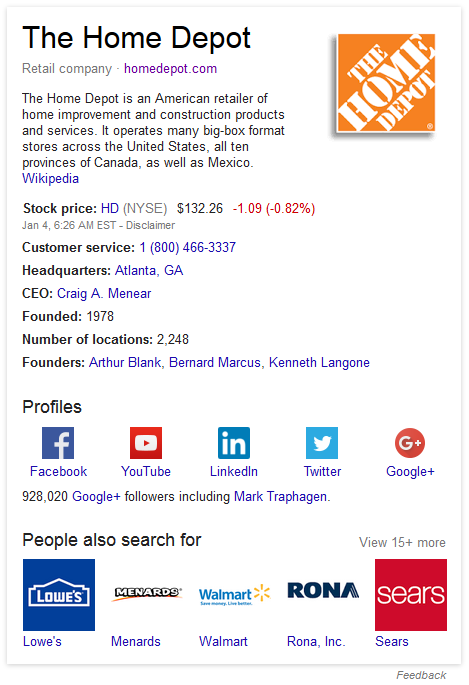 Google also removed Google+ follower counts from AdWords ads late last year. 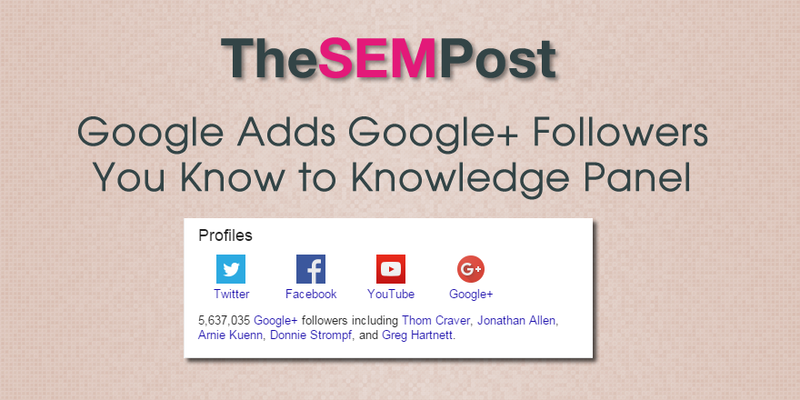 So Google bringing back mentions of both the number of Google+ followers and the names of those followers is somewhat surprise. It doesn’t seem to be rolled out to all users. While I have seen them in multiple browser sessions from different IPs over the past several days, I do not see them all the time, even when searching for the same examples as above. So it is likely a test. In my case, I see the G+ followers count below the social media icons, but not the G+ icon itself.